If you have a dark and cool place, you can store SOKKS®. 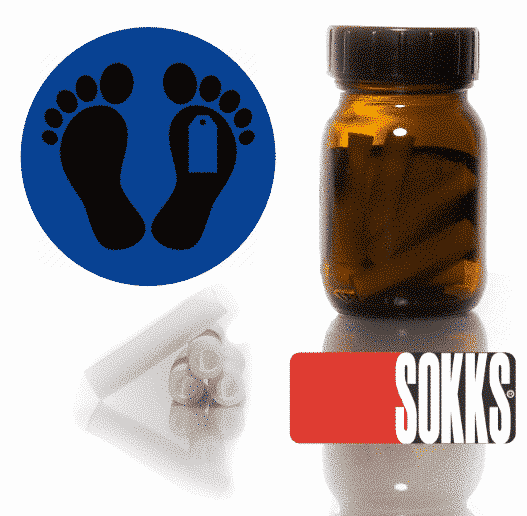 SOKKS® Tubes stored properly have a shelf life of 3 years. Training aids should be stored in the original container in a dark, cool place. SOKKS® should not be frozen, nor should it be exposed to bright light and high temperatures for long periods of time. A SOKKS® tube is completely non-toxic. It is absolutely safe for both the handler and the dog. If your dog swallows a training aid, he is still in some danger of intestinal injury and should be seen by a veterinarian. Normally it should pass without any trouble. SOKKS® K-9’s are trained on pure odor. We believe that in short order judicial notice will be taken of SOKKS®. Each dog can still be certified using current state standards by using real products. However, since SOKKS® uses the PURE ODOR of for example REAL Arson all current court decisions regarding the validity of training with real substances still apply.